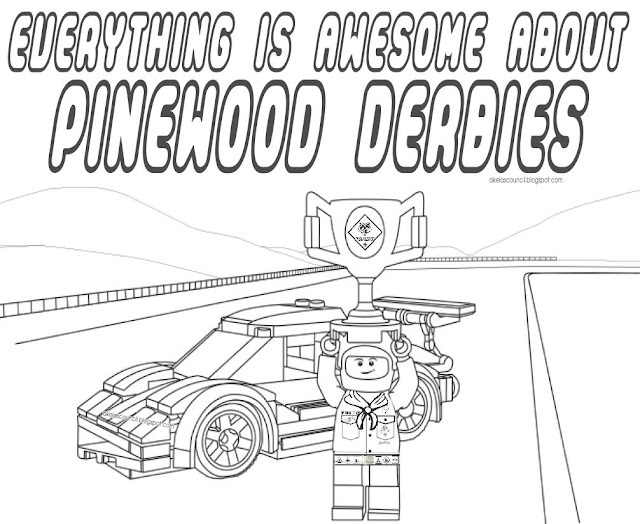 Here is a Lego coloring page you can use for the Pinewood Derby. The younger siblings love to have something fun to color during the derby to keep them busy. They will love this Lego Coloring Page "Everything is Awesome about Pinewood Derbies". It is Printable & Free!